At Wm. Haws Overhead Doors, we understand that overhead doors for commercial and agricultural applications differ from residential applications. Our team specializes in the sale, installation and repair of commercial and agricultural overhead doors to fit your needs. 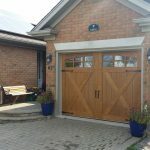 Why Are Commercial & Agricultural Overhead Doors Important? 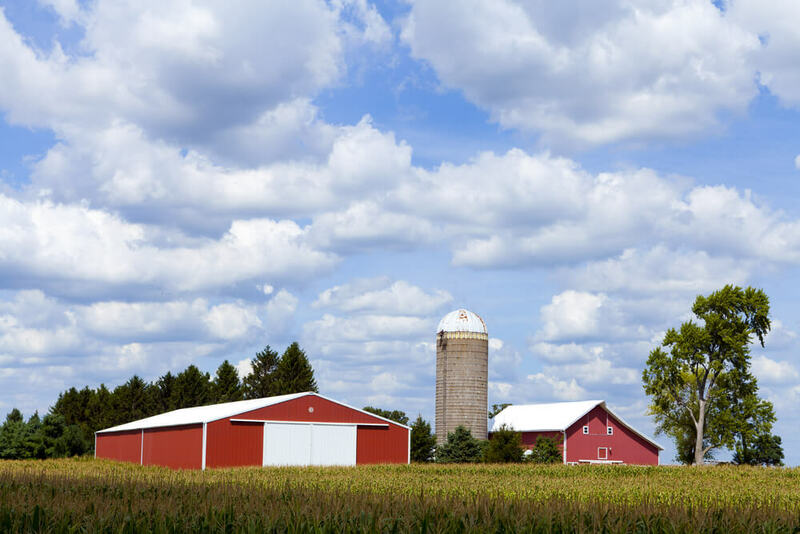 Your commercial or agricultural buildings house a lot of important goods that are essential for running your business or farm.Whether it’s livestock, harvest, equipment, technology and more, protecting your livelihood is essential, and it starts with choosing the right overhead door. 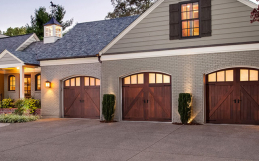 What Should I Consider When Choosing An Overhead Door? 1. What type of building is the door for? The first thing you should do before choosing an overhead door is assess the building where you’ll be installing it. A fully-insulated barn that houses livestock will need a different type of overhead door than a storage building or a commercial building. 2. Does it need to be waterproof? Depending on the use of your building, you’ll want to consider how waterproof your overhead door needs to be. If your building houses dry goods or electronics that need to be kept dry, you’ll want to install an overhead door that is highly waterproof. 3. How durable does the door need to be? Your commercial or agricultural overhead door is an investment. Purchasing and installing a highly-durable overhead door is essential for ensuring that you won’t have to replace it on a regular basis. In heavy commercial or agricultural settings, choose a reinforced door with a sturdy body to withstand everyday use. 4. 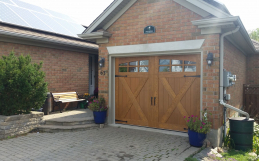 How efficient is the overhead door? If your commercial or agricultural building has heating or cooling systems, choosing an energy efficient overhead door should be a priority. Look for an overhead door with a high R-value and a low U-value. Overhead doors with high energy efficiency can also be useful in settings where you don’t have heating or cooling as they can help keep the elements out and maintain a comfortable temperature within the building. 5. How secure is the overhead door? Protecting your commercial or agricultural business is of the utmost importance, and your overhead door is the first line of security for your building and property. Look for an overhead door with reinforced hinges, manual locks, steel latches and other security features to suit your needs. At Wm. 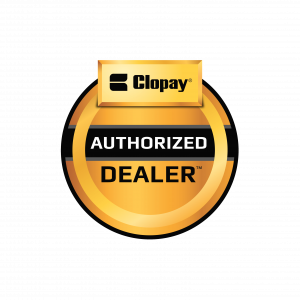 Haws Overhead Doors, we carry a wide range of customizable commercial and agricultural overhead doors from Clopay. Choosing the right commercial or agricultural overhead door is just the first step to ensuring your business and livelihood are protected. 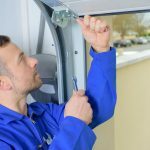 If a commercial or agricultural door is faulty, it can negatively impact your business, so annual preventative maintenance is essential. 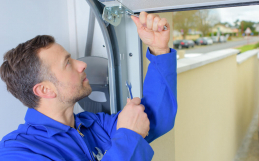 We recommend that you consider having an annual inspection as part of your preventative maintenance plan to ensure your overhead door continues to work effectively. If you need help choosing the right agricultural or commercial overhead door for your business, contact Wm. Haws Overhead Doors today.